Hermione de Paula embodies a world in which unparalleled handcraft, exquisite art and the creation of wonderful memories meet. 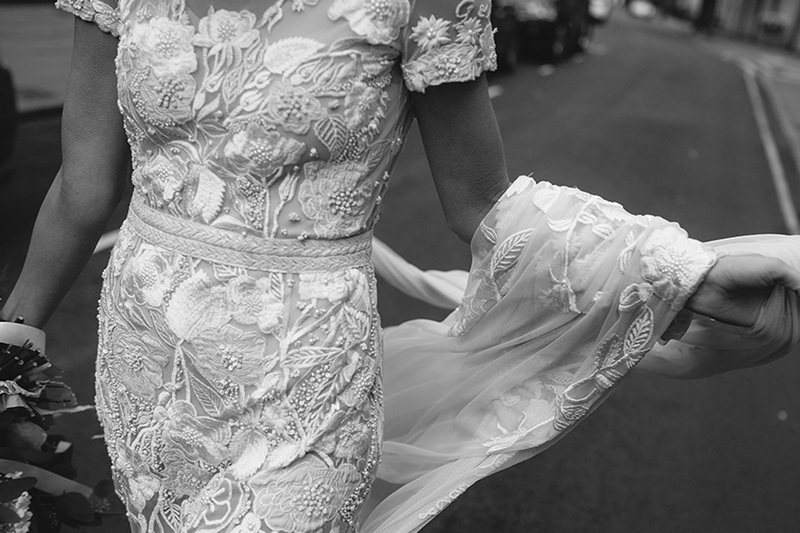 Made by heart and hand each wedding dress is a piece of art. 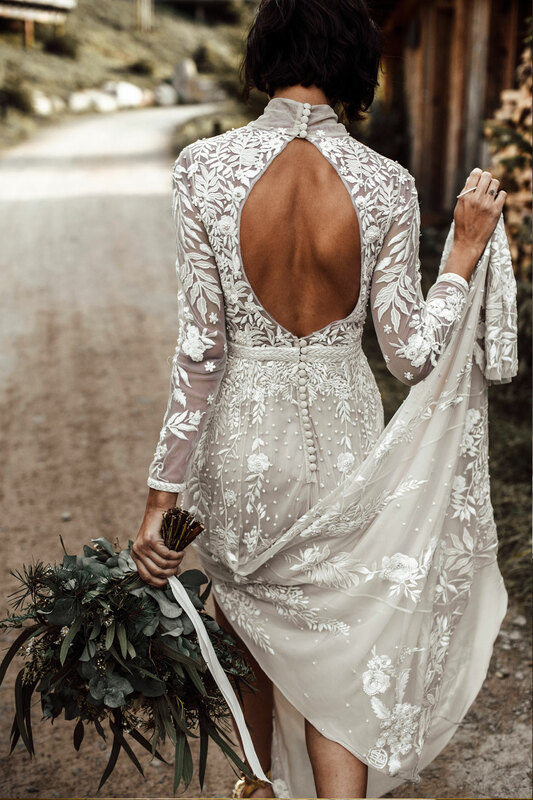 This is a unique dress you will cherish and we will cherish making with you. 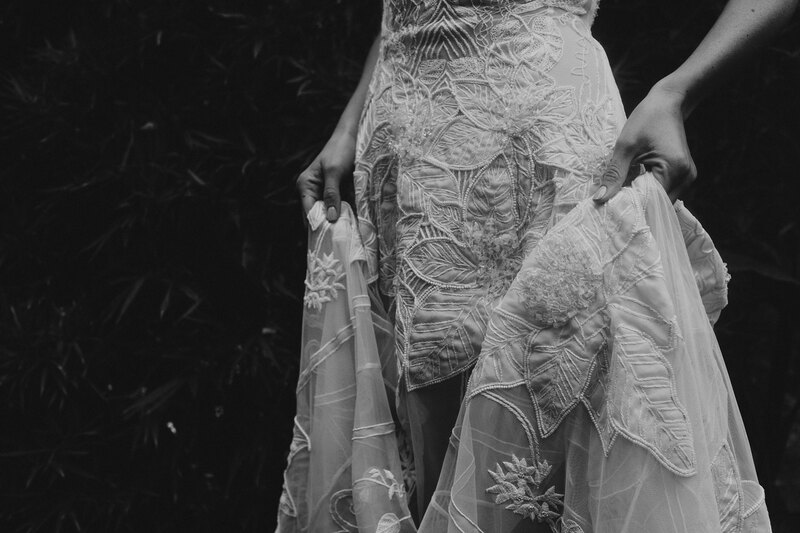 We create luxury bridal couture dresses, lingerie and swimwear with skilled artisans and celebrate their craftsmanship so our fabrics and processes are of the highest quality. We also don't want to contribute more waste to the world than is needed so only make to order which ensures quality and environmental respect at every stage. HdeP wedding dresses are a true luxury in a world of fast fashion. 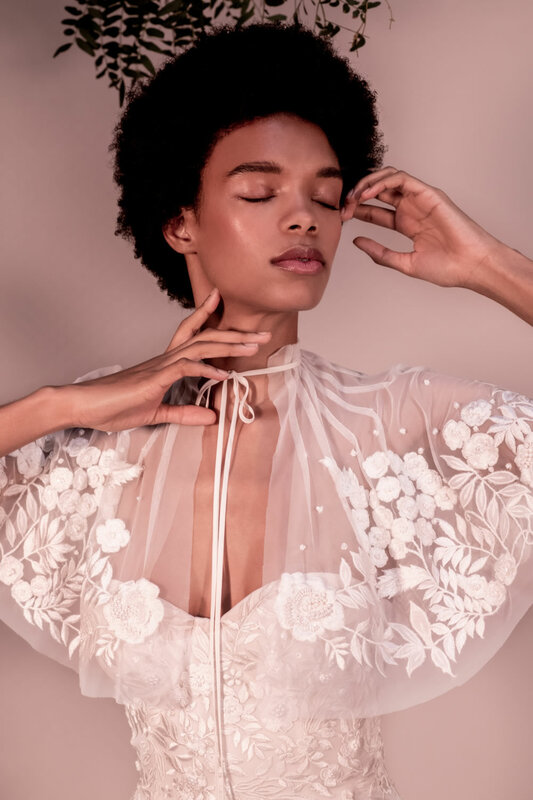 The new bridal, evening and occasion wear collection by Hermione de Paula. 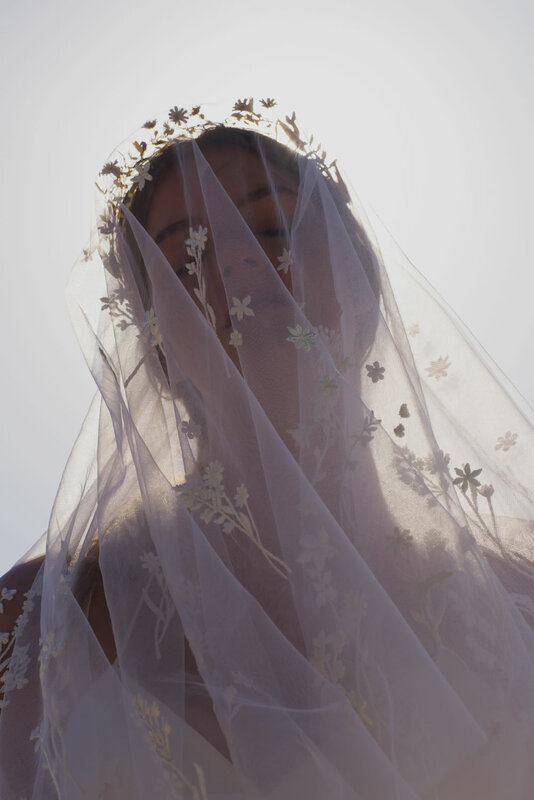 Inspired by Abeona the Roman goddess who protects travellers as they start out on new journeys, children as they take their first steps and all of us as we embrace the opportunity of the unknown Hermione is very excited to present her new collection. Delicate floral prints intertwine with exquisite embroidery as the boundaries between the aisle, red carpet and desert disappear. Always looking to challenge preconceptions which dictate how and when we can experience joy for the old or love of the new Hermione's collection dares you to decide. Never let another choose how you experience yourself. 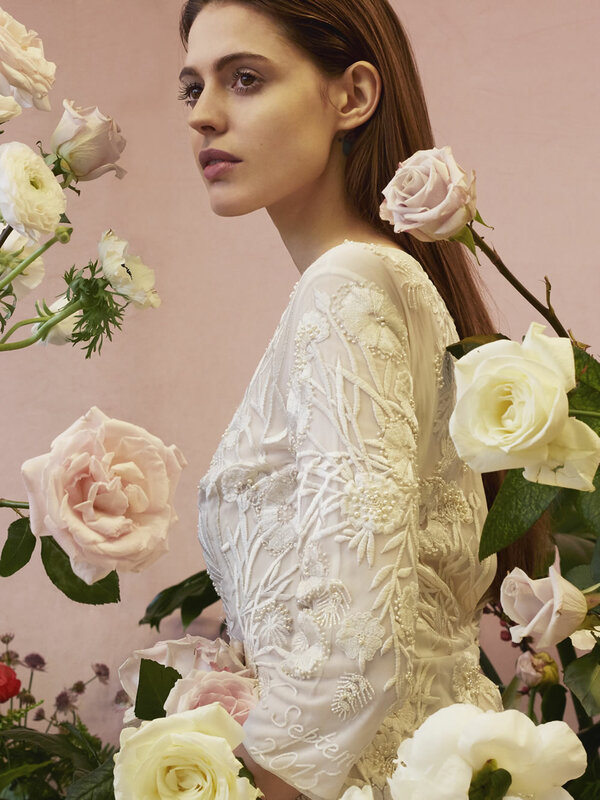 Hermione's latest collection is inspired by the semi mythical Udumbara flower. Fact and legend merge with this this delicate and tiny 'auspicious flower from heaven' which measures just 1mm across yet fills the air with its distinct Sandalwood like fragrance. Said to bloom just once every 3000 years as a portent to the reincarnation of the Buddha the history of this celestial flower is entwined with precepts of rarity, profundity and the inevitability of samsara. Mentioned in countless texts Hermione saw the Udumbara flower as the perfect muse to express her vision for the uniqueness of love. 'Just as the fragrance of the Udumbara flower cannot be destroyed, our capacity for enlightenment is always present. The Buddha taught that everyone is a Buddha, everyone is an Udumbara flower.' Thích Nhất Hạnh. Made by heart and hand each unique wedding dress is a piece of art. It is a dream day so we want you to love and treasure the journey of creating this special piece as much as you do wearing it. A series of short films and campaign imagery. This collage of vignettes follows our brides, be they one or many, in the pursuit of the same impossible escape from wabi-sabi. Looking for the perfect dress to complete their celebration of true love they search across various dreamscapes. 'To watch the sun sink behind a flower clad hill. To wander on in a huge forest without thought of return. To stand upon the shore and gaze after a boat that disappears behind distant islands. To contemplate the flight of wild geese seen and lost among the clouds.' Zeami Motokiyo. At HdeP Bespoke we will make your dreams a reality. 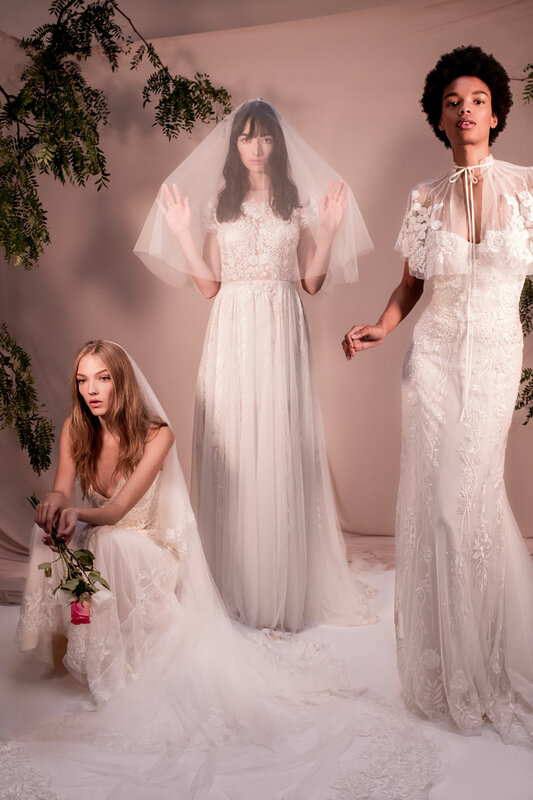 Our vision is to create a gown which embodies all reflections of your personality: sentimental to the past, present in your being and aspirational to the future. Walk slowly, live wildly, love deeply. 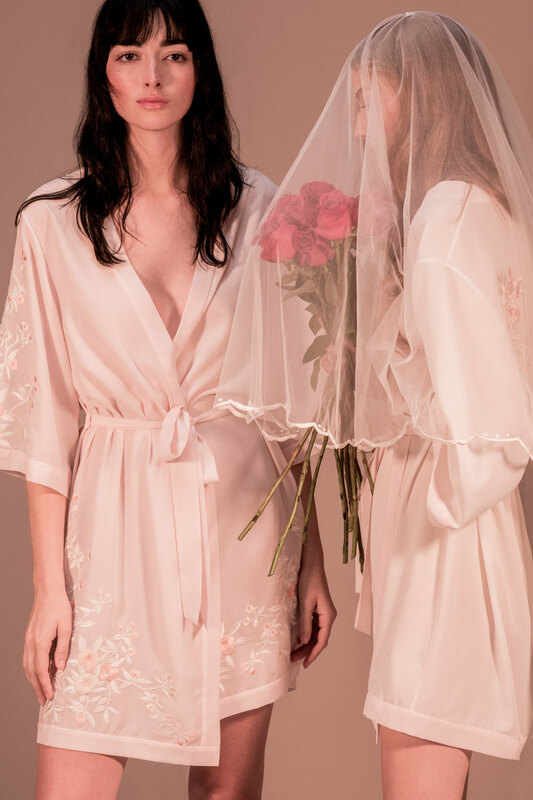 As soon as you put on a piece of Hermione de Paula swimwear or bridal lingerie your mind will start to travel to the exotic vistas which inspire the signature prints and embroideries. Our holiday sets are just right for honeymoons or adventures in sunny climes. A glimpse into the HdeP Atelier where your journey begins. Learn more about our in-house craftsmanship. 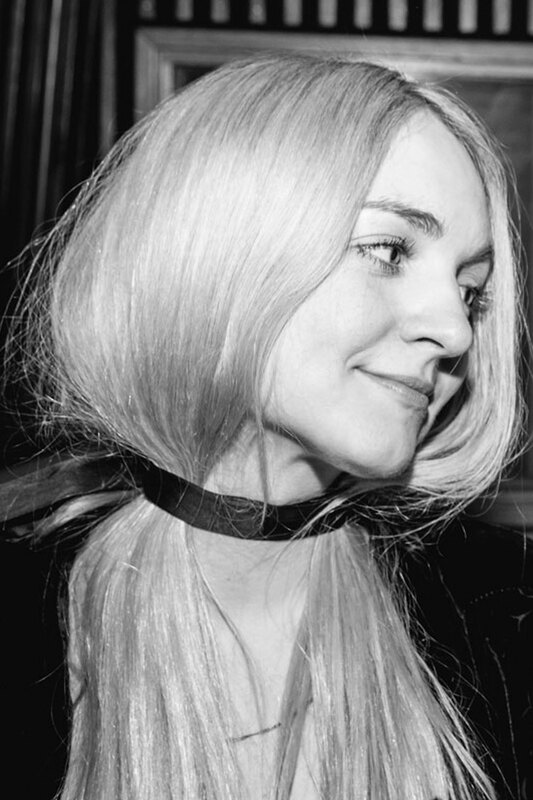 See the journey of the brand so far and the current influences driving her forward. Visit our online boutique for HdeP bespoke and custom robes, swimwear and lingerie. Hermione de Paula creates garments with personalities which form resounding memories. Look back over her previous collections and collaborations with fellow creatives. From Luxury footwear with Nicholas Kirkwood and womenswear with Matthew Williamson to a collection of silk gowns for the Queen of Thailand.